Have you seen the t-shirts like this. 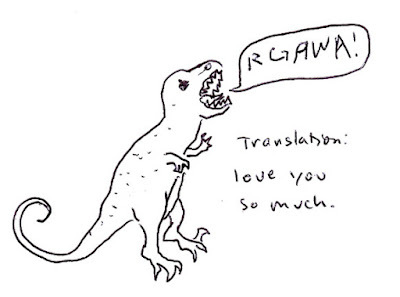 They have a dinosaur on them and it is rawring (is that a word) and then it says, "Roar means I love you in dinosaur." I love it! Weird, I had no idea. My friend gave me the idea. Ha ha.